STEM is the combination of Science, Technology, Engineering and Math. Rather than teach each subject individually, these are taught together. This allows students to see the interconnectedness of the subjects. The reason for the recent push toward STEM is that those fields are going to experience incredible job growth in the near future. We want our students to be able to compete well when they get to high school and college. Our goal is also to provide students with real world opportunities to use STEM. One way we do this is through our weekly science labs which all students take part in, Kindergarten through 8th grade. Our labs provide age-appropriate experiences where students can learn how STEM is a part of their everyday lives. 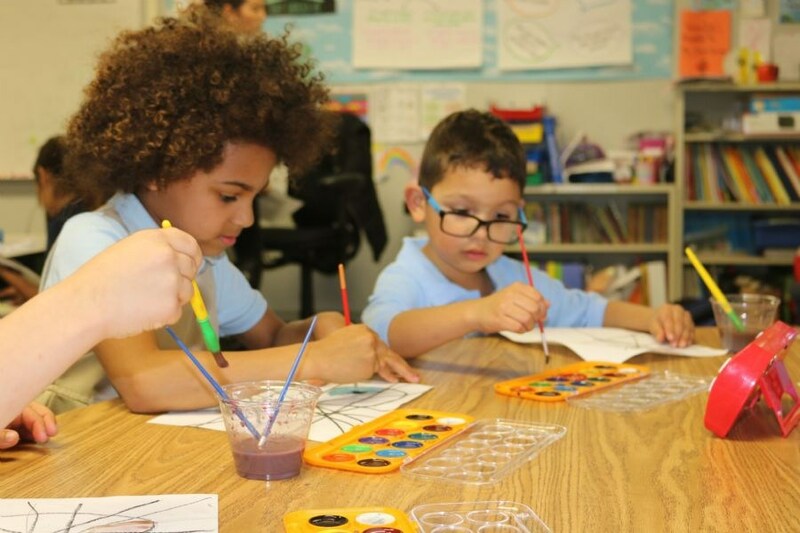 Our students receive a comprehensive STEM program starting in Kindergarten. Students K-2 begin by observing scientific phenomena and talking about, writing about, and drawing basic diagrams of what they observe. Students 3-5 continue with what they have learned in the lower grades and begin to learn to ask scientific questions about what they are observing. Their conversations, writings and drawings reflect their deepening knowledge of scientific content. Students in Middle School continue to observe scientific phenomena and ask questions about what they are observing. At this level they learn to construct scientific arguments using a claim, evidence and reasoning framework. This is similar to what we used to know as the scientific method, but is much more in depth and allows students to apply what they are learning to mathematics, engineering and technology applications as well. In the next few years we will be moving from STEM to STEAM. What this means is that students will learn to use Art and Design to harness their creativity to solve problems to STEM problems. This push comes from universities that have seen the value in the creative and collaborative environment that art provides.